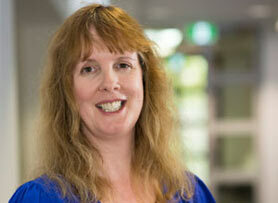 Professor Mitchell is Director of the Health Services Research and Innovation Centre (HSRIC). With co-Director, Brendan Boyle, Rebecca has led the HSRIC since its launch in 2016. The HSRIC takes a multidisciplinary approach to health services research and brings together leading scholars and clinicians from a global network of clinical and academic institutions. From 2011, Professor Mitchell led the University of Newcastle's bid for accreditation by the Association to Advance Collegiate Schools of Business (AACSB). Gaining this prestigious in 2016 accreditation put the UoN in the top 5% of business schools internationally. Professor Mitchell's research interests lie in the area of organisational behaviour, including team dynamics, leadership and social identity in organizations, particularly healthcare organisations. Rebecca has published in numerous top tier internationally recognised journals including the Journal of Organizational Behavior (ABDC A*), Human Resource Management (US) (ABDC A*), Human Relations (ABDC A*), Journal of Business Research (ABDC A), Journal of Occupational and Organizational Psychology (ABDC A), and International Journal of Human Resource Management (ABDC A). She has also published in healthcare management, with articles published in Health Care Management Review (ABDC A), Journal of Advanced Nursing (ERA A*), Medical Care Research and Review and International Journal of Nursing Studies (ERA A*). Overall, more than half of Rebecca's research outputs are ranked A or A* (Australian Business Deans Council, UK ABS or ERA 2010 list). She is a full professional member of the European Association of Work and Organisational Psychology and the US Society for Industrial and Organizational Psychology. Rebecca works with a number of national and international collaborators. She works closely with Hunter New England Local Health District and has a strong connection with the Royal College of Surgeons. Reflecting the quality of the publications that Rebecca has produced, her academic manuscripts on organisational behaviour and health services management have been recognised internationally, through high-level awards. In 2014, she won the British Academy of Management Best Paper in Strategic Management and, in 2012, the Best Paper Award in Organisational Psychology. This provides strong evidence of the international value of Dr Mitchell’s research outputs and recognition of research excellence. Rebecca has successfully supervised a number of doctoral students to completion. Many of her students have published in top-tiered journals, indicating the effectiveness of her supervisory approach. In addition to her academic experience, Dr Mitchell's worked in the Australian and Irish public sector, as a senior policy advisor. She has worked as State representative on several Council of Australian Government (COAG) working parties and has developed health, community and social services policy at a state and national level. She also worked as State representative on the Council of Australian Government’s Working Group on Health Reform. This provides sound evidence of her ability to understanding issues of significant national importance, particularly in healthcare, and the capacity to undertake research that spans bridges academic research with policy and practice. Research Areas of Expertise: Teams and teamwork; Diversity (team); Team dynamics; Team processes; Leadership; Social Identity Theory; Healthcare teams; Interprofessional collaboration; Top management teams; Wine industry clusters. I teach Management and Organisational Behaviour, and Managing Organisational Change. I have also taught in the areas of Corporate Strategy and Management Principles. I convene, chair and/or work as a member of a number of University, Faculty and School committees and boards. Dr Mitchell's primary research interests include: Teams and Leadership: Particularly focused on the impact of diverse composition (multidisciplinary, cross-cultural and interprofessional teams), team leadership, team climate and team dynamics. Clusters: Investigation of industrial clusters, particularly knowledge flow and innovation in clusters. Investigation of intra- and extra-cluster dynamics with a focus on wine industry clusters. © 2019 Australian HR Institute Underpinned by upper echelons theory, this study examines a mediated model to understand the link between human resource (HR) managers¿ international experience and the adoption of supportive HR practices, and whether their attitudes towards women as managers and anticipated affective reactions mediate this link. Structural equation¿modelling based on a sample of 183 organisations in Bangladesh reveals that HR managers¿ international experience has both direct and indirect effects on theadoption of supportive HR practices. Our findings indicate that the extent to which supportive HR practices are implemented in the organisation is contingent upon the cognitive and affective evaluation of managers¿ attitudes towards the initiative of a gender-balanced top management team. Therefore, our study offers novel contributions to our understanding of how HR mangers¿ attitudes shape the adoption of supportive HR practices in organisations. © 2019 The Authors Human Resource Management Published by Wiley Periodicals, Inc. Multidisciplinary teams are increasingly advocated for in healthcare policy consequent to their capacity to develop innovative solutions to seemingly intractable service and care challenges. Recent arguments that inspirational leadership styles may foster innovation in multidisciplinary teams point to their potential value in this effort. However, inconsistency in the capacity of such leaders to engender innovation highlights the need to understand the mechanisms and boundary conditions that determine when such leadership generates positive effects. We argue that follower positive mood acts to mediate the path between inspirational leadership and innovation and may account for its variable effects. By increasing positive team mood, inspirational leaders can potentially bring about more flexible thinking and enhance innovation but can also increase reliance on less effortful information processing, undermining innovative potential. In an effort to address the dilemma posed by these contrasting effects, we propose that professional salience acts as an important boundary condition of this relationship such that only when profession is salient do inspirational leaders enhance multidisciplinary team innovation through positive mood. An analysis of survey data from 60 UK-based multidisciplinary healthcare teams, investigating the inspirational leadership of practice-based innovation, supports our moderated mediation model. Finally, the implications for HRM are considered, specifically for leader development and work team design. © 2017 Nordic College of Caring Science Rationale and aim: Working with assistants has the potential to be an economically and professionally sustainable solution to workforce shortages in speech-language pathology. However, there is some resistance to the workforce redesign, and factors that determine how assistants are utilised are not well understood. The aim of this study was to understand the perceptions that engender professional resistance and identify factors that may lessen such resistance. Method: Semi-structured interviews were conducted with 20 speech-language pathologists (SLPs) to learn about perceptions towards implementing assistants into the profession. Findings and discussion: While assistants were seen as augmenting existing capacity, findings demonstrated ambivalence towards their utilisation, with tension between perceived benefits and risks of SLPs utilising assistants. Sharing workload and reducing administrative duties in favour of increasing clinical output was an important positive perception. However, this perception was moderated by the concern that the introduction of assistants would result in a decrease in consumer focus, which was seen as being at odds with the strongly held values of the profession. Findings provide insight into professional acceptance of this vocationally trained group and highlight discrepancies between perceptions and actualities, both of which may influence how assistants are utilised. They suggest that implementation of a workforce redesign involving assistants may result in paradoxical perceptions among SLPs. Understanding the way SLPs think about working with assistants and how this workforce redesign may be realised will impact on how SLPs view their role and their relationships with co-workers. This understanding will also be useful in a wider sense for organisations seeking to introduce assistants, by allowing enhanced understanding of likely areas of resistance, as well as highlighting possible strategies that may be useful to address such issues. © 2018 Springer Science+Business Media, LLC, part of Springer Nature This study investigates a moderated mediation model of professional commitment and team effectiveness through cognitive diversity moderated by task conflict. Data were collected from 70 UK healthcare teams and their leaders using two questionnaires. We find that teams comprised of members who have, on average, high professional commitment are more effective than teams of members who are less committed and that this path is mediated by cognitive diversity and contingent on task conflict. Team composed of members who are strongly committed to their profession may be more effective consequent to their advocacy of different perspectives and expertise, reflecting cognitive diversity. However, this positive effect of professional commitment is not universal but contingent on the level of disagreement between members on task-related issues. This is one of the first studies to demonstrate that professional commitment can increase team effectiveness and does so through a complex contingent path. While few studies have investigated professional commitment, our results suggest that such commitment can be of great value to multidisciplinary teams. © 2018 Informa UK Limited, trading as Taylor & Francis Group Partial least squares structural equation modeling (PLS-SEM) has become a key multivariate analysis technique that human resource management¿(HRM) researchers frequently use. While most disciplines undertake regular critical reflections on the use of important methods to ensure rigorous research and publication practices, the use of PLS-SEM in HRM has not been analyzed so far. To address this gap in HRM literature, this paper presents a critical review of PLS-SEM use in 77 HRM studies published over a 30-year period in leading journals. By contrasting the review results with state-of-the-art guidelines for use of the method, we identify several areas that offer room of improvement when applying PLS-SEM in HRM studies. Our findings offer important guidance for future use of the PLS-SEM method in HRM and related fields. © 2016 John Wiley & Sons Australia, Ltd. The nurse consultant (NC) role in Australia is a senior classification of advanced practice nurse has been described as enhancing health care outcomes largely through extensive collaboration with consumers, nurses, and other health professionals. However, little is known about the actual nature, amount, and quality of NC interactions. This study examines the connectivity of the NC role across metropolitan and rural contexts, using a mixed method sequential design with an online survey and focus groups with NCs and other stakeholders. Results demonstrated that NCs most commonly have high density connectivity patterns with other nursing colleagues, medical staff, patients/clients, and administrative staff. Position grade (1, 2 or 3) influences density of connectivity, as does location, with those based in metropolitan roles engaging significantly less with other clinicians. Findings demonstrate that many NCs are highly collaborative and predominantly embedded into interprofessional practice models. This study provides valuable insight into the diverse and often complex NC role and the way in which NC expertise and influence is deployed and integrated across a large local health district. 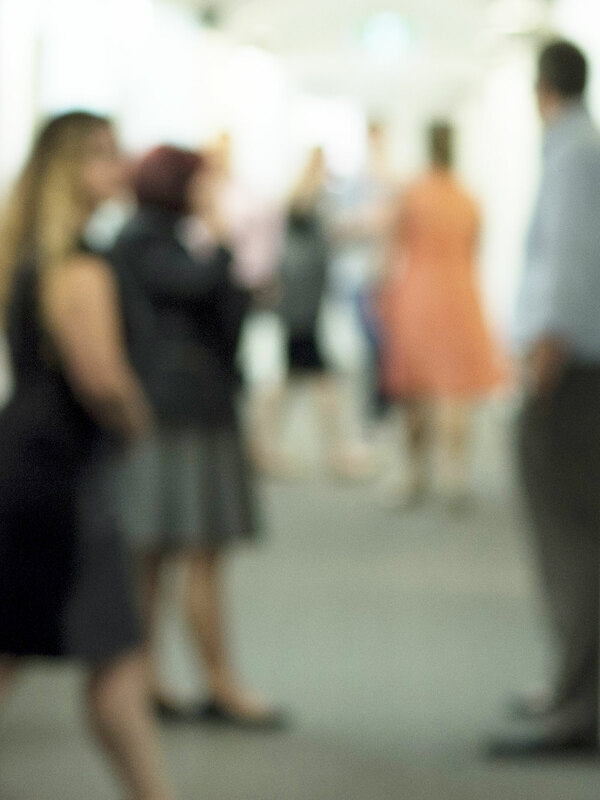 Workforce shortages are forecast for speech-language pathology in Australia, and will have a more significant impact on rural and remote areas than on metropolitan areas. Allied health (AH) disciplines such as physiotherapy and occupational therapy address the problem of workforce shortages and growing clinical demand by employing allied health assistants (AHAs) to provide clinical and administrative support to AH professionals. Currently, speech-language pathologists (SLPs) don&apos;t work with discipline-specific allied health assistants in all states of Australia (e.g., New South Wales). This paper aims to provide insight into the perceptions of SLPs in one Australian state (NSW) regarding working with AHAs. Semi-structured interviews were conducted with eight rural SLPs. Qualitative analysis indicated that participants perceived they had deficits in skills and knowledge required to work with AHAs and identified further training needs. Participants perceived the SLP role to be misunderstood and were concerned about poor consultation regarding the introduction of AHAs into the profession. Ambivalence was evident in overall perceptions of working with AHAs, and tasks performed. While previous research identified benefits of working with AHAs, results from this study suggest that significant professional, economic, and organizational issues need addressing before such a change should be implemented in speech-language pathology. © 2013 The Speech Pathology Association of Australia Limited. Purpose: The growing prominence of knowledge workers in contemporary organisations has led to a considerable amount of research into their role and activities, however, despite this growing interest, there remains a lack of clarity regarding the relationship of knowledge workers to management. This paper aims to respond by investigating the features of knowledge work that impose barriers to traditional managerial control methods and exploring the extent to which alternative approaches to influence are available to knowledge work managers, and the circumstances under which these different approaches are indicated. Design/methodology/approach: The paper utilised agency theory to investigate the implications of knowledge asymmetry in principal-knowledge worker exchanges, and argues against the utility of models of control based on principles of scientific management on which agency models are typically based, towards models of control based on reciprocity and commitment. Findings: The paper has two main outputs. First, it argues that situations in which knowledge-based specialists are hired to perform tasks requiring expertise can be viewed as principal-agent exchanges (Mills) and are therefore open to analysis through an agency theory lens. The second endeavour is to discuss the implications of knowledge asymmetry in principal-knowledge worker relationships for managerial control and influence, and posit alternative modes of managerial control based on normative influence and valiant rewards. Further, it develops propositions relating to the factors likely to moderate the utility of each managerial influence strategy. Originality/value: By undertaking this investigation, the paper responds to calls by Frenkel et al. to understand process and dynamics of control in managing knowledge workers. It moves away from models of control based on principles of scientific management on which agency models are typically based, towards models of control based on reciprocity and commitment. It develops testable propositions regarding specific sources of influence in knowledge work and the circumstances under which the employment of these influence strategies is indicated. This responds to calls by authors such as Tampoe; and Lord to develop a detailed understanding of the manner and extent to which influence strategies need to complement specific knowledge worker characteristics. © Emerald Group Publishing Limited. This study explores the assumption that the impact of diversity on knowledge creating capability is consequent to associated differences in knowledge and perspectives, and contrast this mechanism against an alternative pathway, the utilisation of deliberative, collaborative behaviours. To investigate this theory, we assess whether cognitive heterogeneity and debate operate as mediating variables between two types of diversity, functional and cultural, and knowledge creation. The results provide support for both mediators and also generate evidence suggesting that functional and cultural diversity impact on knowledge creation through different mechanisms. 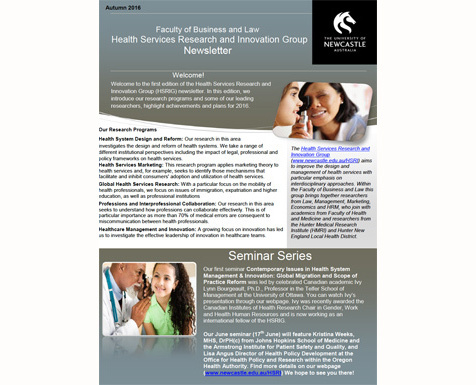 In this of the newsletter you will find information about the research programs, some of the leading researchers, achievements and plans for 2017. In the first edition of the newsletter you will find information about the research programs, some of the leading researchers, achievments and plans for 2016. The Organisational Collaboration Research Group's research has been published in some of the world's top management journals recently. Inequality in Confidence – Are women at a disadvantage? Associate Professor Rebecca Mitchell discusses female confidence levels and how they can impact our careers and our lives.